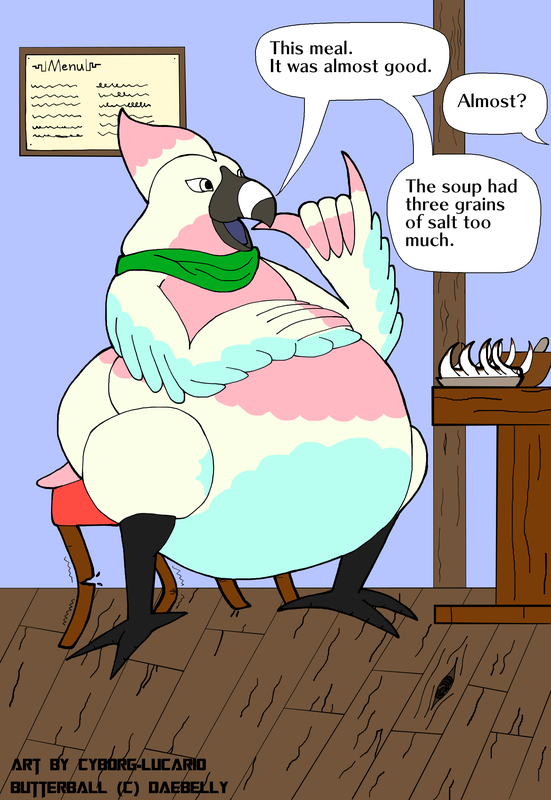 Part of another trade with :icondaebelly: who wanted me to draw his rito Butterball. A name he took after enough people commented on his body during a time when he was a lost traveller (he has no memory of his original name). And because of his name and body proportion so does he love food and searches for the best dishes in all the lands. So I believe he must have a fine sense of taste after all this time.